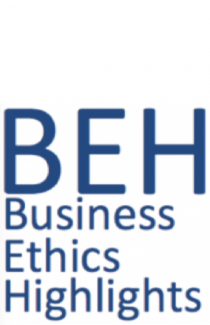 …The faculty member will teach Business Ethics & Social Responsibility courses at undergraduate and graduate levels. Teaching may also include college-wide programs such as Collegiate Seminar and January Term. Teaching assignments at Saint Mary’s College of California include courses at the on-site location in Moraga and may include teaching at off-site locations in San Francisco, Silicon Valley, and/or San Ramon, as well as synchronous online instruction. The successful candidate will join a collegial community that values and supports cutting-edge research and scholarly contributions. All Saint Mary’s faculty are expected to advise students and to contribute to the mission of the College, which is informed, animated, and expressed through its Catholic, Lasallian, and Liberal Arts traditions. ….